A crucial part of any football coaches education is observing sessions put on by other coaches, particularly those with experience and respect at the highest level. 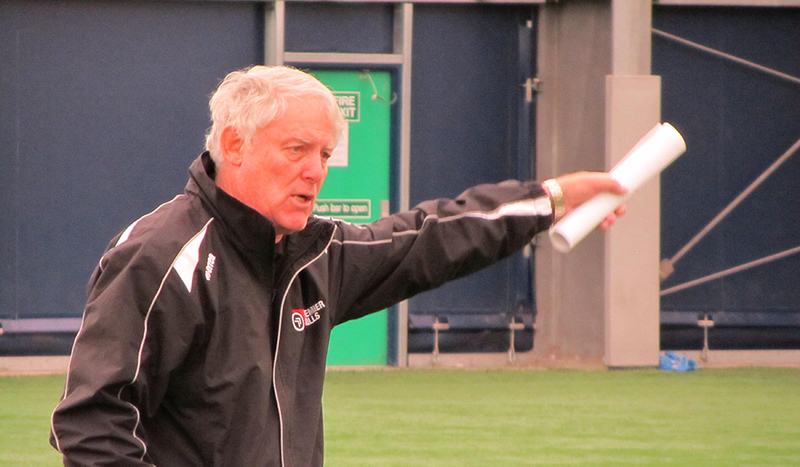 With John Cartwright’s election to chairman of the London Football Coaches Association, members had the opportunity not only to regularly hear the thoughts of one of the most respected coaches in the English game, but more recently, a chance to observe a coaching session that he believes, goes some way to replacing the lost education to young players of street football. 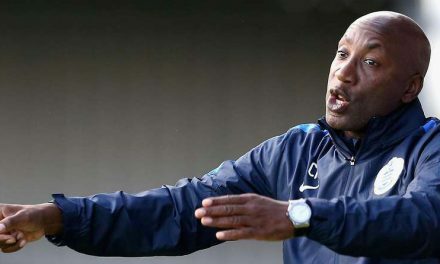 Cartwright, an advocate of the game being the best teacher, wants the modern young player to learn to cope with the situations they will face as they play. Cartwright believes that the game that teams play must be reflected in their practice, and by the same token, they must play how they practice. The small sided street football game demonstrated could be used at the end of every practice session, and develops as the players get older, with the initial session being suitable for youngsters aged six and above, and advances with the players growth in age, confidence and ability. 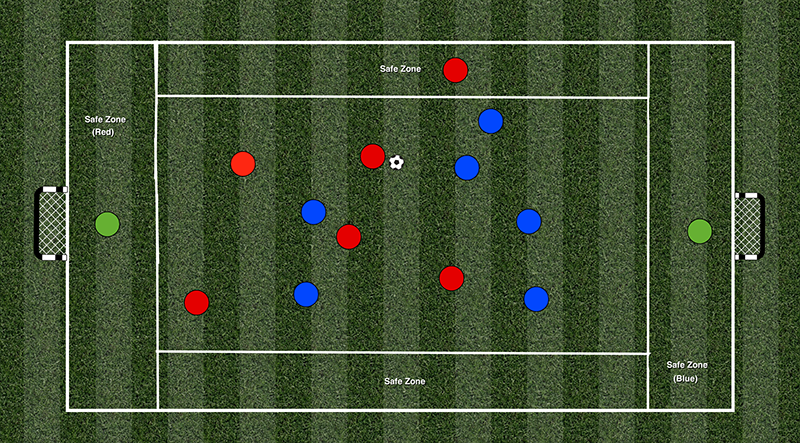 In the first session, play takes place on a small area, the size dependent on the age and number of players. 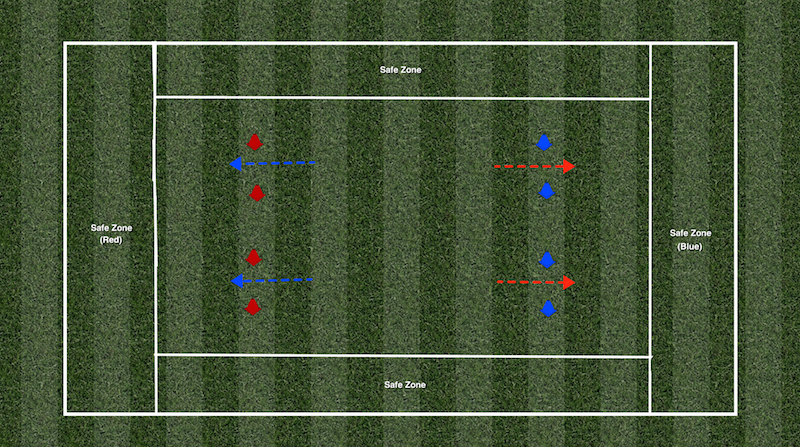 Each end has a “Home Base” zone where only the defending team can have a player, and each side also has a safe zone where the team in possession can have a single player who can be unopposed. 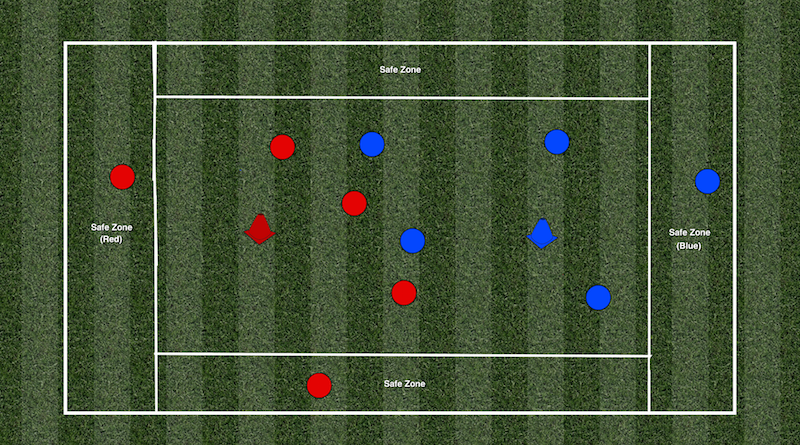 Each team is attacking two small targets, and points are scored for players running the ball through these gates. Goalkeepers play as outfield players and the ball is not allowed over head height. Interestingly, at first, Cartwright only allowed the players to use their hands and carry the ball rugby style. 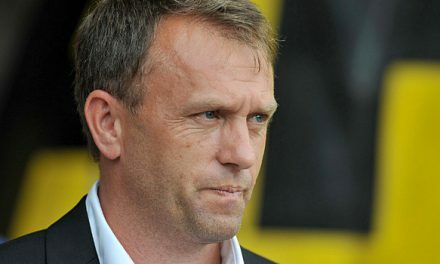 This enabled him to make some valuable early coaching points, and some of these were quite interesting, considering the players being used in the session were from the Leyton Orient academy – these players are aiming to be elite professionals, but had to be reminded of some quite basic things. These included screening when receiving the ball, even when in one of the safe zones, reminding players to play back to the home base safe zone to avoid losing possession, and when running with the ball, keeping hold of the ball on the outside to prevent the opposition from nicking possession (by tapping the ball from the players grasp). 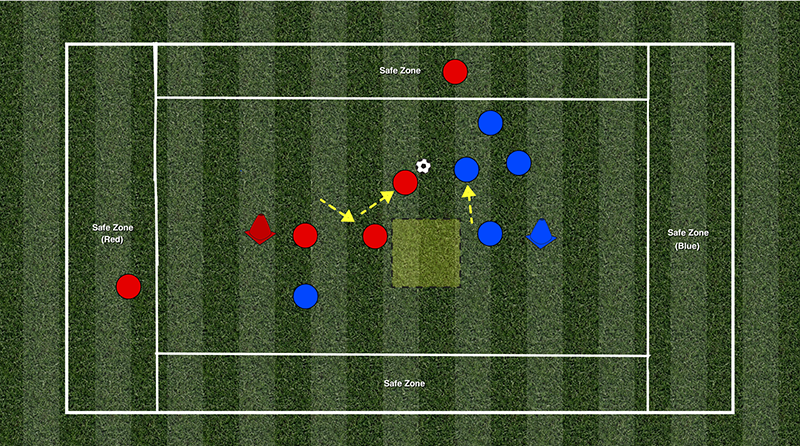 Other situations that were picked up on, were stopping players trying to “bundle” their way through – thus teaching the to recognise the situation is too tight and therefore to restart by playing backwards, teaching the team in possession to play round, which of course they could do completely in a safe zone. Players were also encouraged to run with the ball when the option was available rather than always looking to pass. When coaching the defending team, ensuring that the shape was balanced and that the players were ready. The players were then allowed to use their feet, and here they were encourage to control the pace of the game – play quickly when trying to score, but to keep possession, slow the game down, play back through the safe zone. Players were encouraged to pass “softly”, which enables players to play one and two touch easily, and also to move the ball to create space for others. In the second session, the points scoring was made more testing, as the goals were now single cones which the players had to touch the ball on to score. Again, play was initially using hands to allow the youngsters to understand how the game worked first. Players were discouraged from “scrimmaging”, in other words trying to bundle the ball on to the cone – as you would expect, the teams defended the cone resolutely. They were also taught to play with their chests facing the goal and the body on the half turn, and again, passing the ball with the right degree of pace to allow easy control and further play. Obviously with the more challenging requirements to score a goal, the players had to work harder to open the opposition up, and Cartwright gave illustrations of how they should try to do this, disallowing goals via scrimmaging, and encouraging the players to “Move the ball, move the player” – a good demonstration of this was to make a run across the diagonal (see illustration above), pulling the opposition across and creating space behind, with the opposition not sure whether the ball would be transferred at the point of crossover. The final session brings the game closer to the real thing with goals introduced with goalkeepers, but with the safe zones and home base zone remaining. The pitch is made bigger (probably twice the size of the original pitch) and the demonstration we saw was an 8 v 8 game. With larger goals, this session began straight away with players using their feet, and there were fewer interventions as Cartwright let the game be the teacher. This session was more suitable for the older players, suggested around the ages of 10-12. 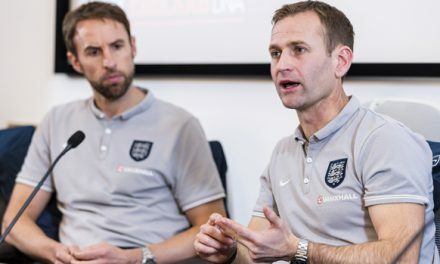 In the debrief, Cartwright once bemoaned some of the things that the young players had needed to be reminded of – and by this not criticising the players themselves, but more the coaching set up in England. 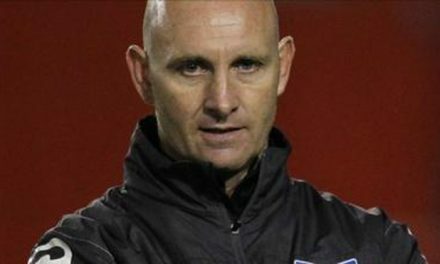 He feels that by the age of 16, “players should be players”, and they should have the knowledge and technique to screen the ball properly, play 1-2s and cross over movements, be able to pass the ball with the right pace to allow quick play, and recognise when to recycle the play by playing backwards and round. “The FA has produced robotic players” was a Cartwright’s view, and he hopes that exercises like the one illustrated here, alongside good coaching will help to create better technical players in the future. You can read more of John Cartwright’s views on the game in his book, Football For The Brave, or on his blog, Keep The Ball. Subscribe to our weekly newsletter and keep all your players active with our warm-ups for training and pre-match.